The Wonderful 101 is hard. Very hard. Here’s a few tips to hopefully elevate the experience from “impossible” to “difficult”. Platinum Games never fails to both impress and frustrate at the same time. My love and inversely proportional hate for Hideki Kamiya began with Resident Evil, blossomed with Devil May Cry, and reached its unhealthy obsession status in the days of Clover Studios. 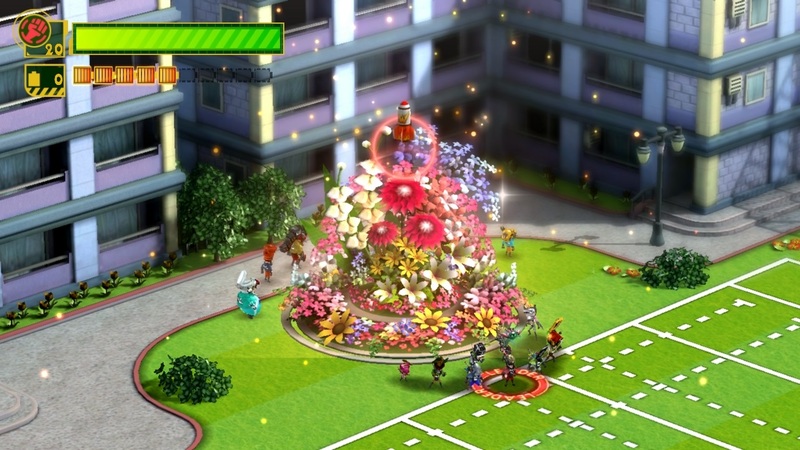 Wonderful 101 bears an uncanny resemblance to Viewtiful Joe in nature. There’s lots of bright, vibrant colors, characters shouting out move names, and giant robots punching each other. The whole thing feels like playing a Saturday Morning Cartoon, but to assume the aesthetic reflects the difficulty is a costly mistake. The game is certainly easier than previous Platinum Game entries, but that’s like saying it’s easier to bench press a car then a speedboat. 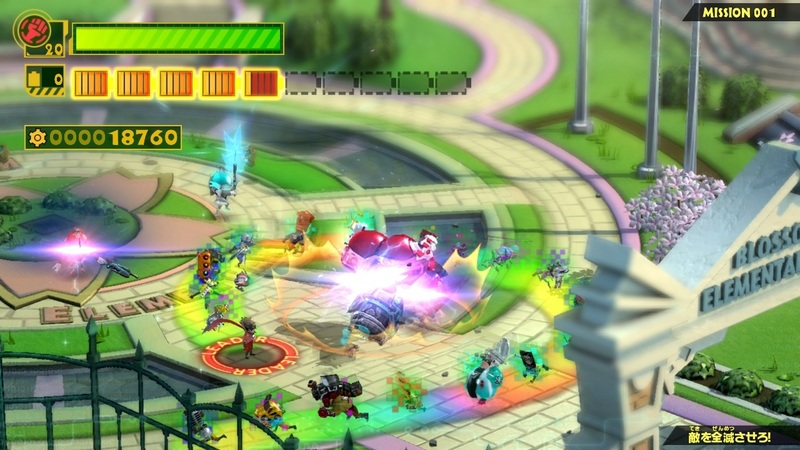 One thing Wonderful 101 falls short from its spiritual predecessors on is its ability to teach you how to play it. There are many pop-up tutorials, to be sure, but these often simply educate you on how to execute moves, and don’t tend to share the why or the when. The burden of a difficult challenge ought to come from attempting to execute the mechanics successfully, and not trying to guess what the mechanics are. Even nearing the end of the first run, I found myself discovering very basic mechanics I could’ve employed as early as the first level. 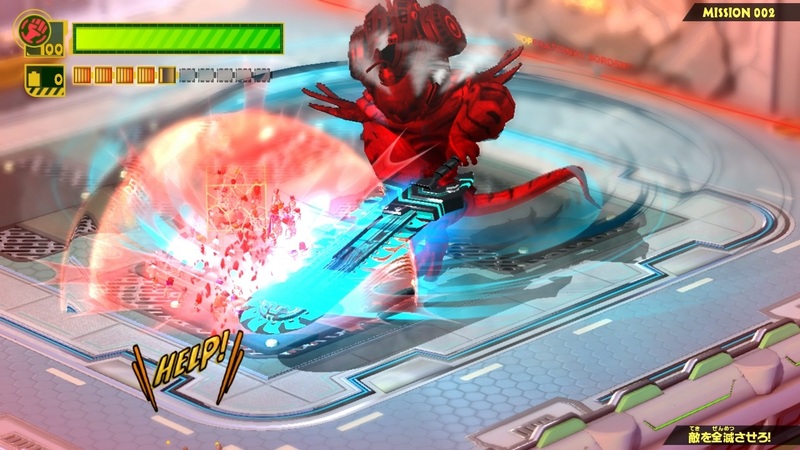 The following are all things I wish I’d known from the onset of the adventure, and hopefully they will ease the frustration of anyone out there in the throes of a love/hate relationship with Wonderful 101. 1. Enemies can be recruited! I can’t even begin to explain how much easier the first few operations would’ve been with this knowledge. You may have noticed by now that the smaller enemies, referred to in the game as the Dough-Goos and Chew Dough-Goos, sometimes seem to take quite a while to die. They turn purple and then start a very prolonged explosion animation. If you encircle them with your heroes while they’re in this self-destructive state, you’ll actually recruit them onto the team as temporary members, just like the groups of citizens standing around town. Here’s some heroes demonstrating the process of forcing conscription on enemies. You can certainly get by for a while without doing this. In fact, I’d almost beaten the game without discovering it. Its importance became evident upon reaching Operation 007. 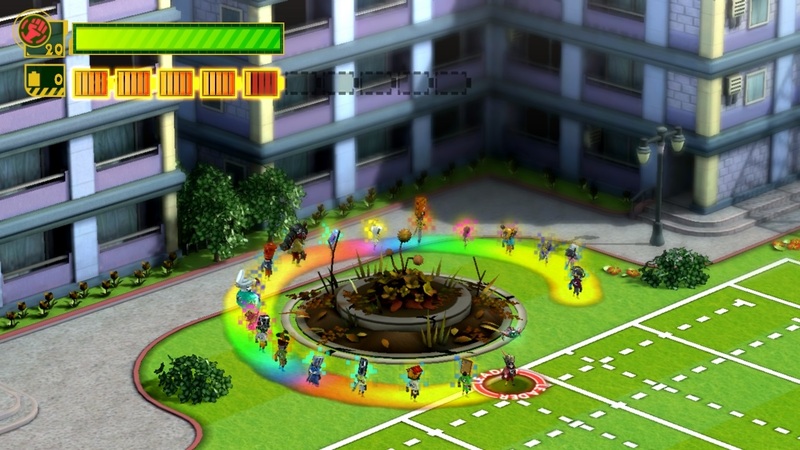 At the onset of this mission, your team size will be reduced to 10. Without recruiting the smaller enemies at the start of the area, the rest of the Operation seems nigh impossible. In order to successfully recruit the smaller ones, you’ll need to refrain from attacking with super-charged Unite Morphs. Large weapons have a tendency to send them flying off the screen. 2. Invest in Unite Guts and Unite Spring as soon as possible! Bob and weave, bob and weave! 3. Not everything can be blocked with Unite Guts! Its easy to become reliant on Unite Guts early on. Throughout the first operation, Unite Guts seems capable of stopping everything with a well-timed press. I was knocking over enemies, reflecting projectiles, and tripping the bigger guys. By the end of the first stage, I felt like Bruce Lee. Nothing could touch me. Then the game threw a Scorpion mini-boss named Dahkarts at me, and it soon shattered my whole world view. To be honest, it isn’t even that the Scorpion is a difficult creature to fight; the problem lied in my approach. It took far too long for me to realize I couldn’t block its stinger. I kept assuming the issue lied in my timing, and tried again and again to catch it with my respective faces. All 100 of them. Ends up that giant sword can’t be blocked either. Here’s a good rule of thumb for defensive actions. If it’s an open claw, stinger, laser, or sword, a block is probably going to hurt. If it’s a fist, a foot, a third limb of some kind, or a circular projectile, block away. Projectiles will be launched right back at the target, and successfully blocking a punch or kick will give you an opening to lay on the hurt. Lasers can be dealt with by simply holding a sword; the beam will reflect right back to the target. Be warned; many of the bigger bosses will still have unblockable fists. 4. Use your Team Attack! If you pressed the X button and found the subsequent move pitiful, and then proceeded to not use it again for a while, I feel your pain. It certainly seems useless at the onset; one of your heroes latches on to an enemy, a ring appears around them, and no damage appears to be done. If anything, it just seems like you voluntarily threw away one of your guys for no apparent benefit. That glowing circle around the big guy may seem useless at first, but it can do you a whole world of good. However, if you follow up with a Unite Morph in the enemies direction, you’ll actually close the distance with a short dash. This makes it much easier to keep up with an enemy as you smack them around the field. 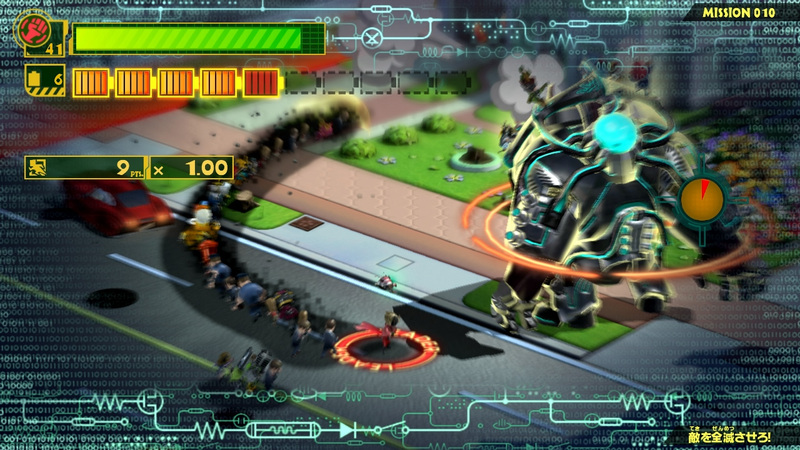 If you pile on the guys with repeated X button presses, the enemy will eventually turn red and become stunned. It doesn’t work on most bosses, of course, but most of the larger enemies you’ll encounter become much easier with this tactic. 5. The face portraits mean something! This one took me until almost the second to last operation to figure out. 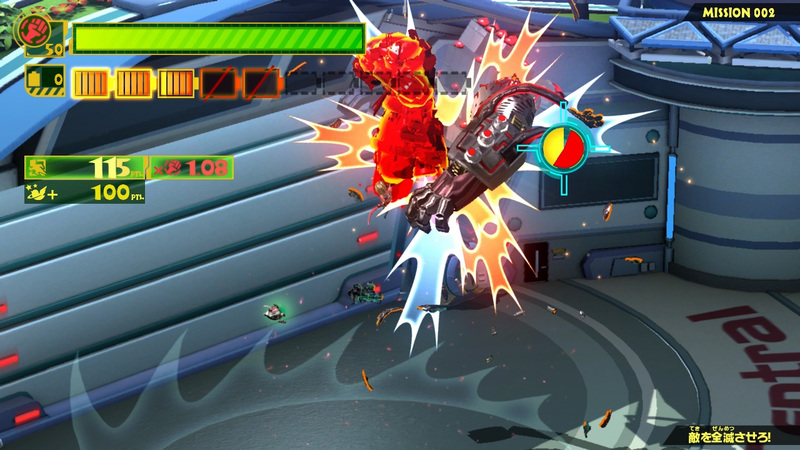 While fighting some of Wonderful 101’s larger foes, a portrait of one of your characters may fly on to the screen. It’ll pause, they’ll make a very serious face, and then the portrait slides off the screen again. Wow, this looks really cool! But, um… what am I supposed to do? When it first happened during a major boss fight, I assumed the game was merely providing me with a suggestion of which weapon to use on the boss. The truth is actually much more useful. When the portrait appears, draw the unite morph for the respective character shown. If you catch it in time, you’ll trigger a special counter-attack. This will often result in dealing damage to the boss, and give you an opportunity to wail away on them without fear of retaliation. Many of the cutscenes involved with a successful counter are wonderfully absurd. One word of warning; you must complete the morph while the portrait is still on the screen. Once it slips off the side, you’ll perform a normal Unite Morph and then take a Spiked Mace to your respective faces. This can be a frustrating experience. Even after figuring out the intention of the portrait, I took a lot of unnecessary damage from simply not being fast enough. 6. Use your Rising Techniques and your Team Unite Morphs! Once you’ve acquired a certain number of heroes who wield a particular weapon, or alternatively rank up the ones you have, new moves will unlock for the respective weapon. The one you’ll want to pay special attention to is the “rising” technique. This move is done by simply jumping and attacking in quick succession. It will launch your enemy into the air, and you’ll follow them upward. While airborne you’ll have much more time to chain attacks together, especially if you continually follow up with additional rising attacks to keep them airborne. Get ‘em into the air and lay on the hurt! And while they’re in the air, make use of your Team Unites! 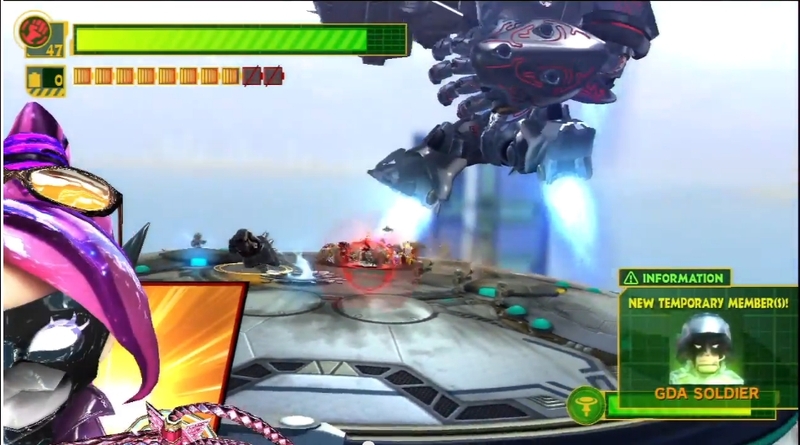 By pressing the X button after drawing the appropriate formation, a teammate will begin attacking with their own Unite Morph. You can have four teammates out at once this way, and it makes it much easier to pile on the damage when an enemy is vulnerable. Remember that Team Attack? Using it prior to launching an enemy will make it much easier to ensure your heroes attacks land consistently while airborne. One quick and increasingly common note; you won’t be able to launch every enemy you come across. 7. Draw circles around everything! If you aren’t in the mood to find a zillion collectables, feel free to move on to number 8. If you are, good news! This game has zillions. If something seems different or unusual in the landscape, just go ahead and circle it. Dead plants? Circle ‘em. Fan vent? Circle it. Weird looking mirror? Circle away. Even differently colored spots on the ground can yield results. ...and you’ll have a bloomin’ garden in no time. Shove all your guys into an open doorway or window. Circle or trace something in the landscape. There are also collectables to find within the colorful crates hidden around, but these are much easier to find. Many will be lying in wait on a main path. The doorways, windows, and traceable street numbers are very easy to miss unless you know to look for them. 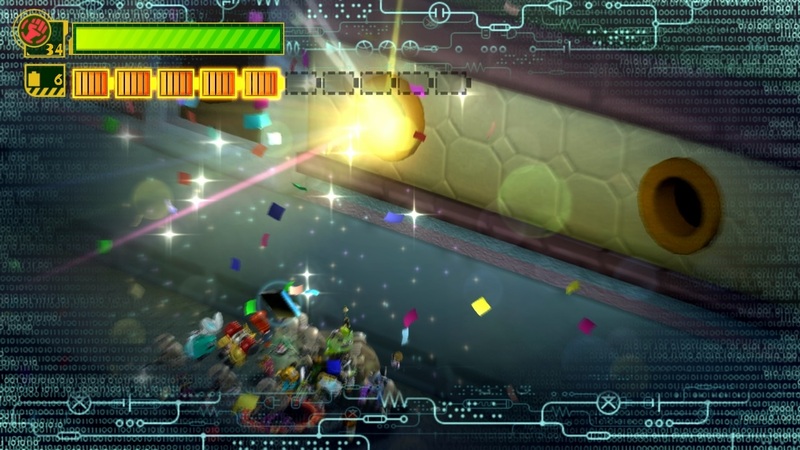 You might be surprised at how many collectables you can find by throwing heroes in sewer pipes. 8. Don’t be afraid to fail the cut scene related Unite Morphs! This may seem like a strange rule to close out on, but stick with me for a moment. 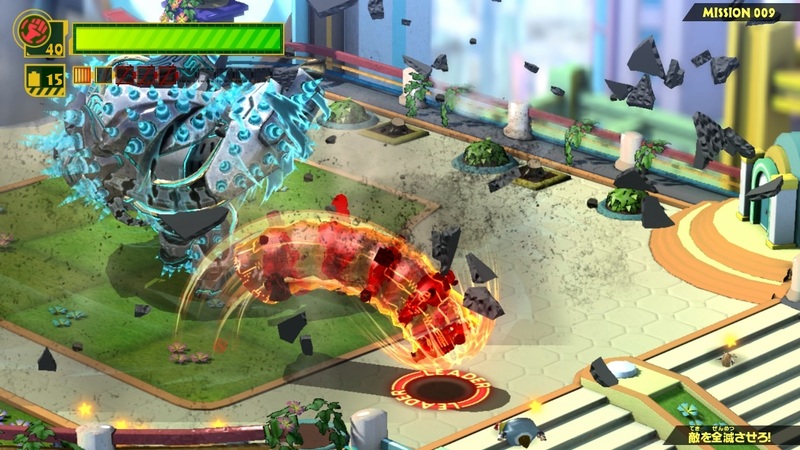 Wonderful 101 has a silly, light-hearted narrative. When in the throes of a demanding challenge, that can be easy to forget. Easy enough, in fact, that I never failed any of the cutscene specific unite morphs. I feared the penalty of failure, and the time limit ticking down at the top certainly didn’t help things. It ends up the price of failure isn’t very much at all; at most, you’ll take a small hit to your health, and then simply be placed at the start of the cutscene again. By being such a perfectionist on my first play through, I ended up missing out on several comical scenes that only occur upon failure. My personal favorite comes in the form of Wonder-Pink, the character who introduces the Unite Whip. Upon failing her heroic introduction, she runs over to the camera and begins stomping your TV screen, frustrated at your inability to draw a simple curved line. Its worth mentioning that some of these moments are entirely missable. If you’re crazy enough to tackle harder difficulties, or just feel like playing through some memorable stages later, you won’t be able to revisit the introductory cutscenes for new recruits; the moment will be entirely skipped over. The only way to see introductions again is to start a new game in an empty file, with none of your upgrades or unlocks. My suggestion is to make the most of your first playthrough. Don’t be afraid to let things go to hell just to see the result. 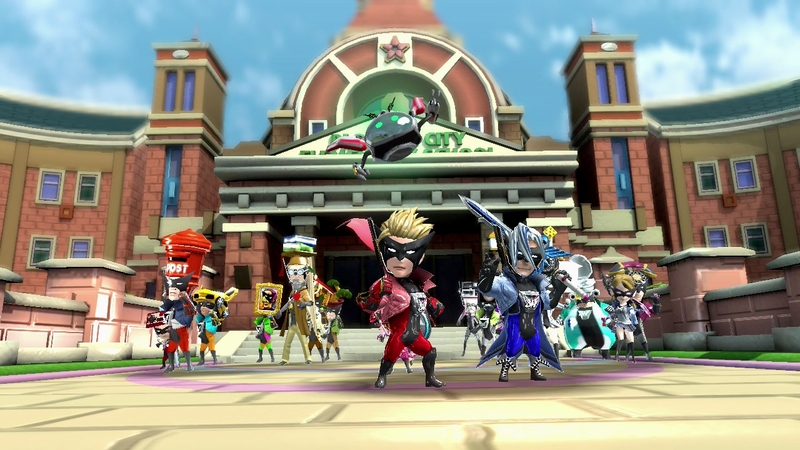 With these tips in mind, hopefully you’ll be able to see all the absurdity Wonderful 101 has to offer, and without having to sacrifice your blood pressure to do it.